Posted 04-29-2014 by Dale Bohman. 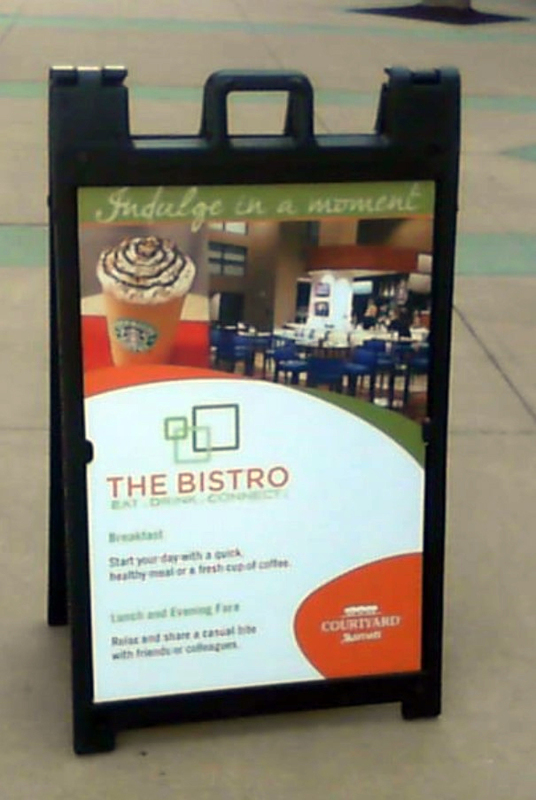 When you need a temporary or removable sign, a great solution is the “Signicade” Series of A-Frame sign stands from Plasticade. 2- Resorts and Attractions: Lake the example to the left shows, help your guests find your amenities! These will generate sales! 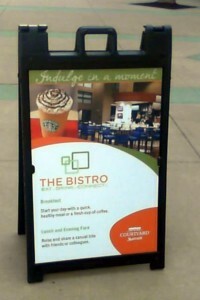 3- Directing Traffic/Valet services: Block a driveway or make people aware of your valet services. The “Squarecade”, the 24″x24″ smaller brother. -Use a “Message Board Kit” to make it into a changeable message center with 350 letters and letter track boards that attach. It’s always important to make sure your customers know how, when and where to interract with you! Sometimes the Signicade is a great option!